Parking lots can be a dangerous place both for people walking and for people driving. During the holiday season and the rest of the winter months, the risk is exacerbated because of the potential for slippery conditions. Motorists should be alert to the risks they face when in parking lots, and should do everything possible to try to avoid getting hurt when they get out of their cars to head to their destination. 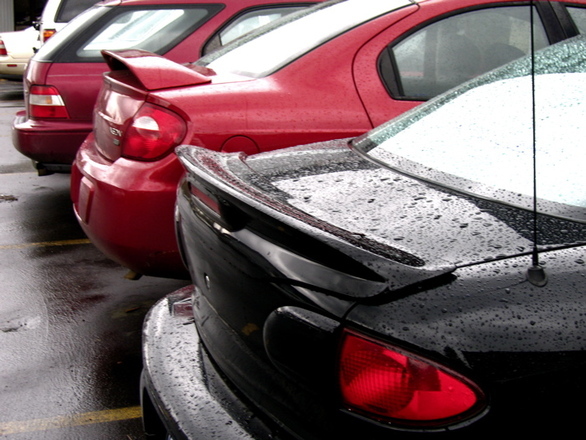 Unfortunately, often it is drivers or parking lot owners who are negligent in a manner that leads to an accident. Pedestrians walking through a parking lot can do little to protect themselves from a careless driver or from substandard conditions. Pedestrians who are injured due to the failure of drivers or property owners should understand their rights to bring a Boston personal injury claim, as they may experience injuries that cause significant financial damage. Car crashes are one of the leading causes of injuries in parking lots. A report on parking lot safety issues reveals past studies have shown anywhere from 19 to 23 percent of all crashes between cars and pedestrians happen in parking lots. Many of these are backover accidents when a car pulls out without looking at a pedestrian. When this type of accident happens, victims may be able to pursue a case against the driver who struck them with their vehicle. If the parking lot was poorly designed, the victim of the accident should be able to pursue a case not just against a careless driver, but also against the business or individual who owned and maintained the lot. Slip and falls may also be a problem in parking lots. While lot owners are not necessarily responsible for all injuries caused by ice or snow in a parking lot setting, they are held liable if they were negligent in maintaining the space. Determining whether the walker should have known of the icy conditions or whether the property owner created conditions leading to the fall can be complicated, and these types of claims must be decided on a case-by-case basis, taking all relevant factors into account. Some individuals in parking lots during the holiday shopping season could also find themselves victimized by acts of violence. Muggings, robberies, and carjackings are all potential safety threats, especially during the holiday season when criminals know there are likely to be lots of shoppers with expensive items at stores and malls. Obviously, companies cannot be responsible for every instance of violence in their parking lot. However, if the company was negligent in security practices, it can be held liable. Having inadequate lighting or not taking steps to provide more protection when there is a credible risk of violence (like previous robberies) could result in a lot owner or operator becoming responsible for any injuries resulting from violent acts. Those who are out shopping and engaging in holiday activities should make sure they watch carefully for cars in parking lots, and should make sure they are alert to patches of ice or slippery pavement areas. Store owners, on the other hand, need to make sure their lots are lighted and secure, while drivers need to look carefully for walkers before leaving parking spaces.